A recent report published in the American Journal of Medical Genetics (Smith et al. 2014) describes a methodical comparison of buccal cells and blood as potential surrogates for brain tissue in epigenomic studies aimed at assessing the methylation status of DNA. 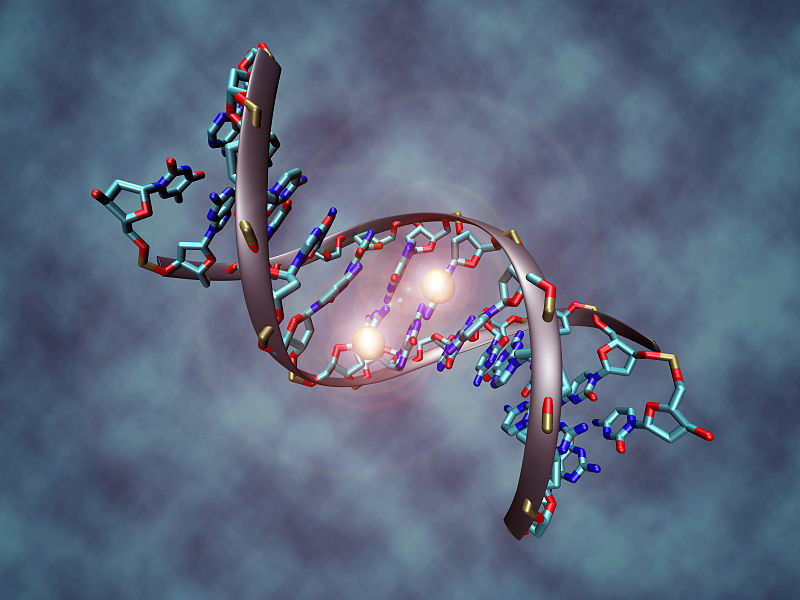 The methylation patterns of specific genes are thought to be biomarkers for a variety of psychological disorders and may be the result of such factors such as childhood abuse, malnutrition, and traumatic stress. The authors find that DNA methylation patterns in buccal cells are more similar than blood to those of brain tissue. Certainly it is an attractive notion that permanent changes in the methylation patterns of the genetic code are at least partially responsible for some chronic psychiatric and behavioral traits, but the idea that a simple cheek swab can help unravel these mysteries even better than a blood sample is the part we find the most fascinating. Genomic DNA is methylated where a cytosine nucleotide occurs prior to a guanosine nucleotide to create a CpG dinucelotide. In the report, the authors describe the variability of DNA methylation patterns in cerebellum, frontal cortex, entorhinal cortex, and superior temporal gyrus. The authors then compared this variability to that of buccal and blood DNA from 64 adults. Remarkably, there was very little correlation between buccal and blood methylation patterns for 162 CpG sites studied from candidate genes implicated in genetic and epigenetic studies. Methylation patterns in these genes (FKBP5, BDNF, NR3C1, and SLC6A4) were associated only at rates of 12-24%. For example, only 5 of 40 CpG sites showed association when NR3C1 buccal and blood samples were compared. The authors suggest that overall, DNA methylation patterns in buccal cell samples are more similar to the patterns observed in the brain regions studied. Previously, a separate team (Lowe et al. 2013) also reached the conclusion that buccal cells are likely a more informative source of epigenetic information than blood. Published in the journal Epigenetics, the study explains that although there are many epigenome-wide association studies (EWASs) underway using blood as a surrogate tissue, there is no evidence that blood is a more appropriate surrogate tissue than buccal cells. The authors performed whole-genome bisulfite sequencing and observe more than 6 times the number of hypomethylated regions in buccal cell DNA. Such tissue-specific differentially methylated regions (tDMRs) are not captured by many of the epigenomics platforms such as HumanMethylation450 BeadChip and Reduced Representational Bisulfite Sequencing. Notably the authors demonstrate that buccal DNA contains enrichment of these hypomethylated tDMRs (hypo-tDMRs) near disease associated single nucleotide polymorphisms (SNPs) and that buccal DNA shows a signfiicantly greater agreement with methylation patterns in other tissues: skeletal muscle, islets, brain, and liver. We feel that the best kit for buccal cell DNA collection is the iSWAB kit from MawiDNA Technologies. The patent for the collection tube in this kit gives a detailed explanation of the technology. The collection tube physically scrapes buccal cells from cheek swabs into the DNA stabilizing liquid allowing repeated swabbing into the same liquid. This method results in high yield, high quality DNA with minimal bacterial DNA contamination. The room temperature stable liquid is ideally suited for remote collection where refrigeration of samples can not be assured. These kits are available either as racks of 50 tubes for on-site collection or as complete at-home collection kits for by-mail studies. The iSWAB DNA Collection Kit has an attractive exterior packaging suitable for the growing consumer genomics market and inside contains everything one would need for a large research study with at-home collection. The collection tube itself has a 3D barcode on the cap and a 2D barcode on the side with human-readable numbers. 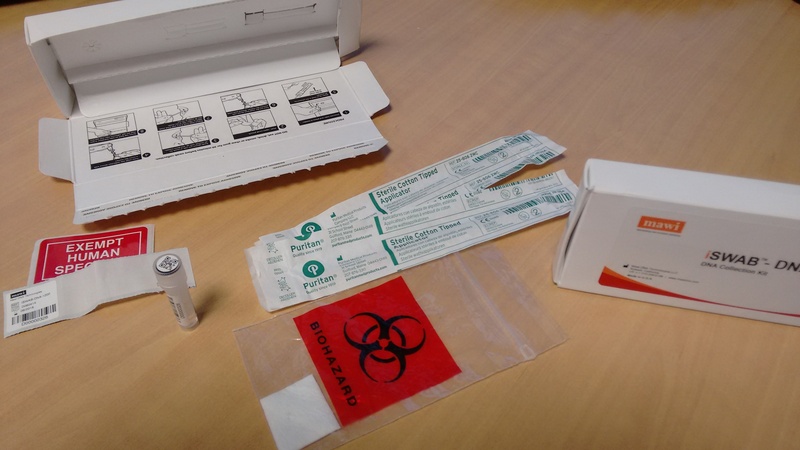 Supplied also in the kit are four sterile swabs, an additional barcode sticker, a sealable biohazard bag with absorbant cloth, and an “exempt human specimen” sticker. The kit contains instructions and the box itself, which is resealable for return shipment, has instructions printed under the lid. Supported by online videos demonstrating how to use the kit, it is likely that this product will lead to a growing number of epigenome studies done by mail. These buccal cell DNA collection kits are expected to help researchers collect surrogate DNA for a variety of tissues in addition to brain. Blood will likely remain the sample of choice for epigenomic studies of blood-related disease, and for certain tissues, buccal cell DNA was always the most logical choice. Edelman et al. (2012) showed for instance that salivary cortisol levels following a threat correlate to glucocorticoid receptor (NR3C1) exon 1F methylation across 39 CpG sites. The authors of this study used the MasterPure DNA Purification Kit to purify DNA and outsourced the pyrosequencing to EpigenDx. European customers can access EpigenDx’s products by contacting their European distributor tebu-bio. 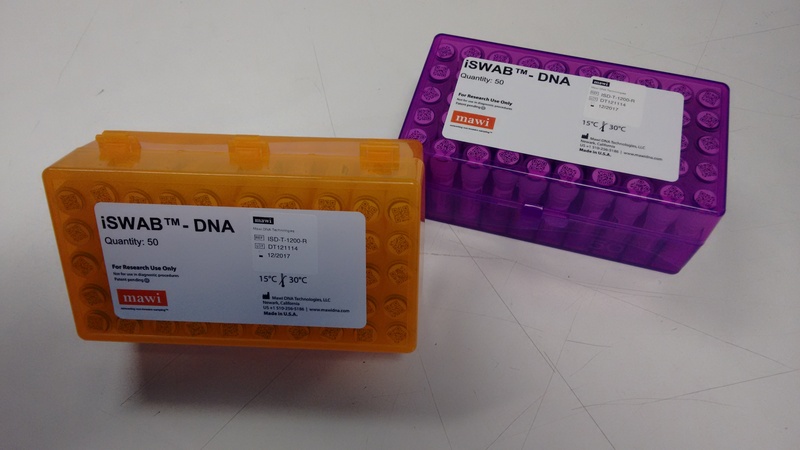 1) iSWAB DNA collection kits and tubes from Mawi DNA Technologies for enhanced collection (high quality/high yield) of buccal DNA. 2) MasterPure and QuickExtract Kits for Buccal DNA Extraction from Epicentre® (an Illumina company).